Sam Yulsman is a composer, pianist and multimedia artist from New York City, whose music spans a wide range of musical idioms. He has performed and/or recorded with artists including Ryan Muncy, Peter Evans, Biliana Voutchkova, Tyshawn Sorey, Chris Heenan, John Colpitts, Art Lande and Joe Morris. Currently, Yulsman performs regularly as a member of Brandon Lopez’s trio “Mess”, and co-directs “Little Moments of Invisible Death” – a multi-media performance installation, designed and performed in collaboration with Martin Hiendl. As a composer, Yulsman’s work explores choreographic treatments of gesture and interaction, to repetition, and formal circularity. His compositions have been performed by Ostravská Banda, Ensemble Korea, the New York New Music Ensemble, Rage Thormbones, JACK Quartet, Wet Ink, Loadbang and Mivos Quartet. Ben Bennett is Philadelphia-based improvising percussionist. In searching for an expanded sonic palette, and more fluid movement between various techniques, he distilled the drum set into a smaller collection of drum heads, stretched membranes, and other objects which offered a wide variety of unconventional sounds from very few materials. 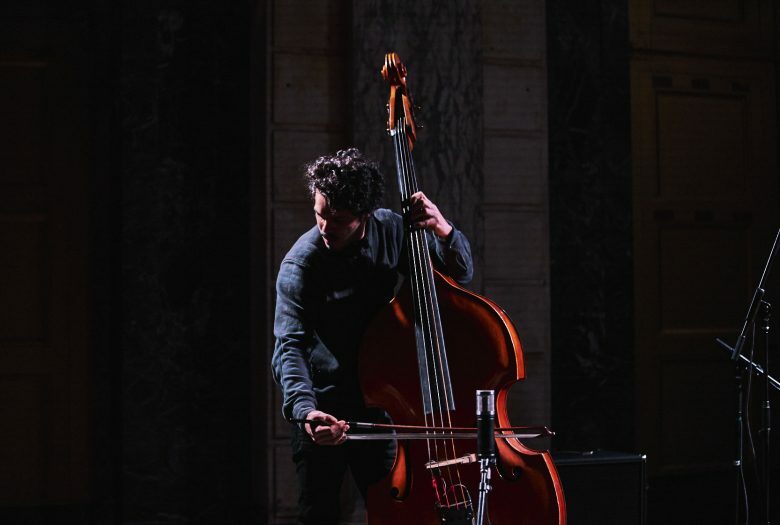 He has toured actively for the past decade, playing in various groups and solo including with Michael Foster, Jack Wright, Evan Lipson, Tashi Dorji, Travis Laplante, Fred Lonberg-Holm, Leila Bordreuil, Brandon Lopez, Jacob Wick, and Zach Darrup. Michael Foster is a saxophonist and multi-instrumentalist working in the fields of free improvisation, noise, free jazz, graphic & video notation, performance art, and other forms of weird music. Foster utilizes extensive preparations of his saxophone, augmenting it with amplification, objects, balloons, drum heads, vibrators, tapes, and samples as a method of subverting and queering the instrument’s history and traditional roles. His current ensembles include duos with cellist Leila Bordreuil, poet/vocalist Lydia Lunch, Richard Kamerman (as The New York Review of Cocksucking), percussionists Ben Bennett and Ted Byrnes, The Ghost (with Zach Rowden & Derek Baron), Barker Trio (with Tim Dahl & Andrew Barker), While We Still Have Bodies (with Sean Ali, Ben Gerstein, & Flin van Hemmen), and various collaborations with Weasel Walter, Marina Rosenfeld, and many others. Nate Wooley was born in 1974 in Clatskanie, Oregon, a town of 2,000 people in the timber country of the Pacific Northwestern corner of the U.S. He began playing trumpet professionally with his father, a big band saxophonist, at the age of 13. His time in Oregon, a place of relative quiet and slow time reference, instilled in Nate a musical aesthetic that has informed all of his music making for the past 20 years, but in no situation more than his solo trumpet performance. He has since become one of the most in-demand trumpet players in the burgeoning Brooklyn jazz, improv, noise, and new music scenes. He has performed regularly with such icons as John Zorn, Anthony Braxton, Eliane Radigue, Ken Vandermark, Fred Frith, Evan Parker, and Yoshi Wada, as well as being a collaborator with some of the brightest lights of his generation like Chris Corsano, C. Spencer Yeh, Peter Evans, and Mary Halvorson. Brandon Lopez is a 2018 Roulette Van Lier Fellow. The Lamentations + Bennett/Foster/Wooley/Lopez is made possible by the Edward and Sally Van Lier Fund of the New York Community Trust.